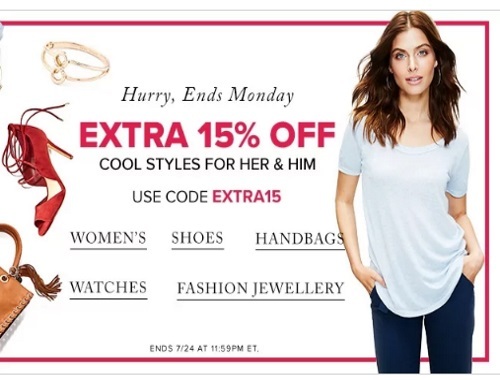 Hudson's Bay Christmas in July Sale is winding down and they are offering an extra perk! Save an extra 15% off select apparel, shoes and more! Enter the promo code EXTRA15 at checkout. Offer ends Monday, July 24, 2017.